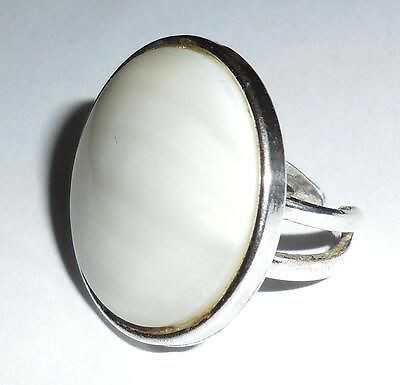 For sale is a large vintage handmade natural agate adjustable ring, sizes 6 to 8. 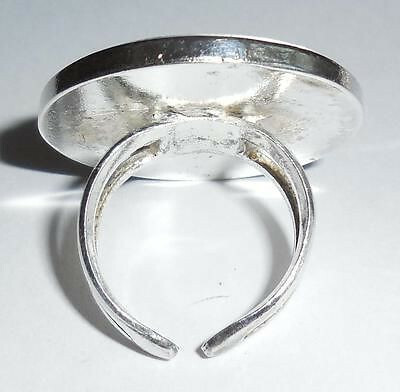 Beautifully made of very thick, substantial, “can’t bend it” silver plated metal. Looks chunky and feels fine on the finger. I tried it on several different sized fingers. 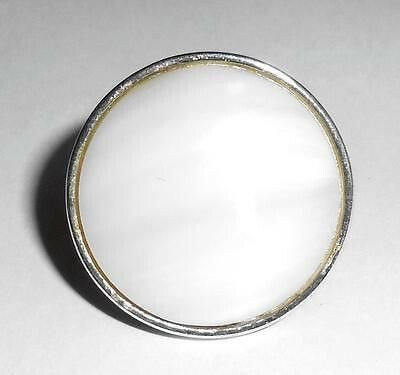 Size of top is 1″ or 20m across. 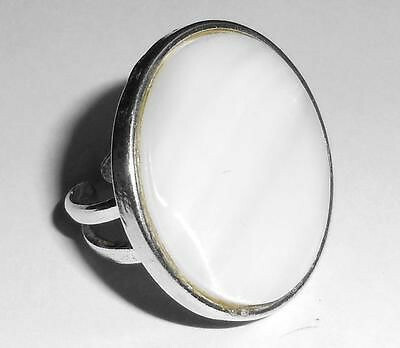 This is a beautiful SHOWY vintage 60s statement ring for your collection. Gray banding is striated and better than the photos. 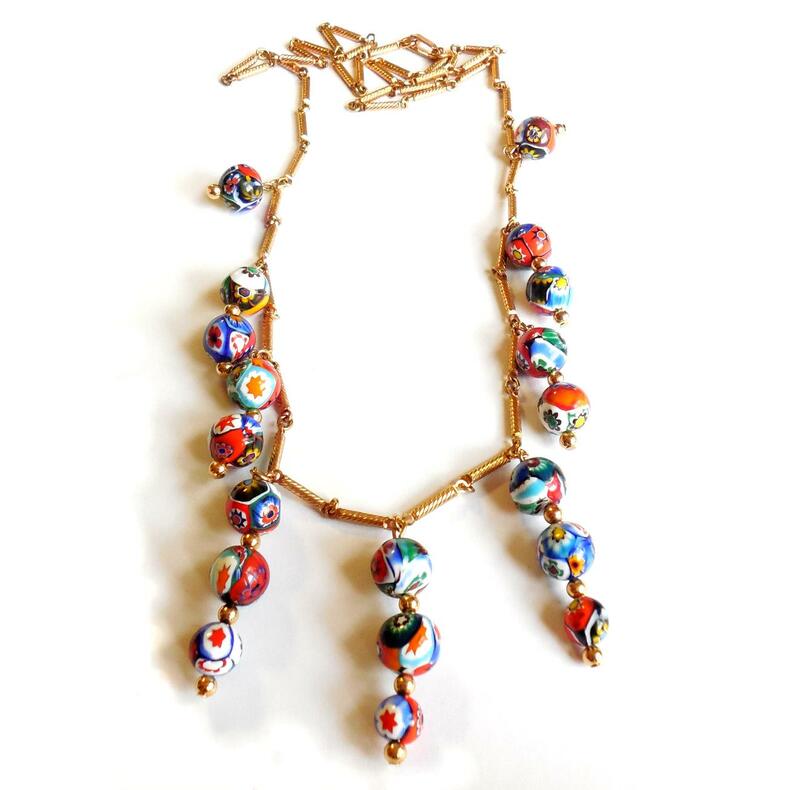 This is a gorgeous upcycled Italian fused Murano Glass necklace. Minty condition. 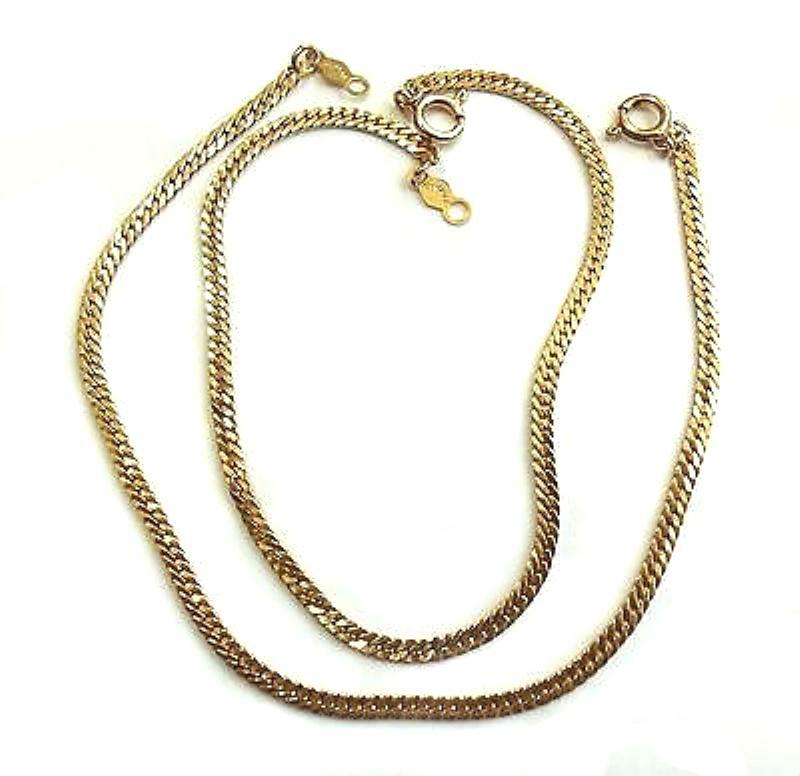 It contains a 1970s old store stock perfect bright gold plated fancy barrel chain necklace which has deep noticeable recesses in each section of chain. Size is 31" long. The Murano beads are brilliant and colorful with reds, blacks, blues, greens, yellows, whites etc....All are big showy 12mm size except for the one single bead at the bottom that is 8mm and tapers the necklace to its finished point on the bottom center. 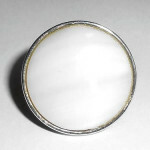 Beads are also in beautiful crisp clean no damage condition. At 31" it hangs very long and there is plenty of chaining if you would like to make it shorter. Also, the beads are strung on a gold rod with finishing connectors and connecting gold beads in case you would like to remove 2 in order to make earrings. 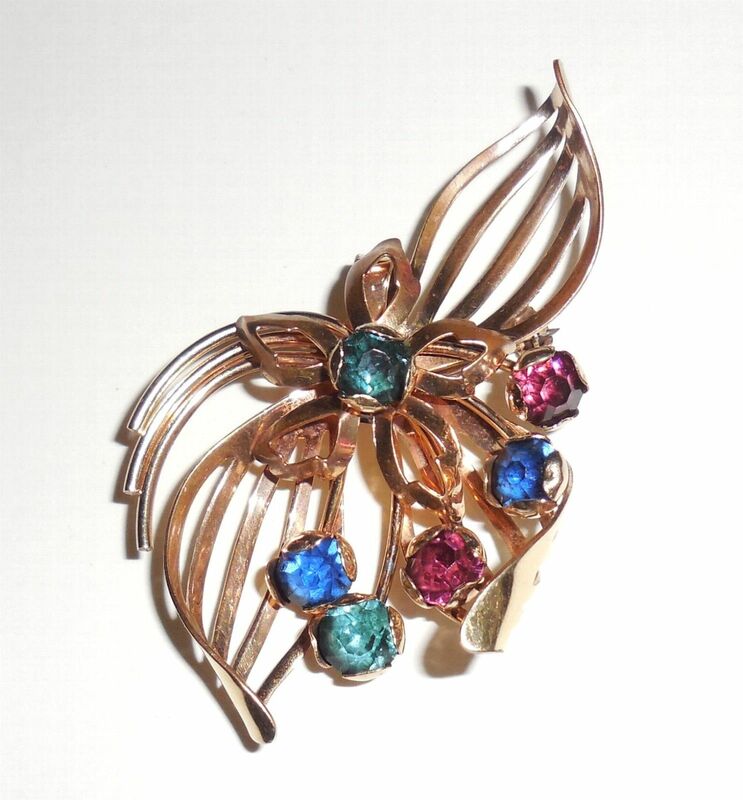 Size and versatility and quality vintage goods make this a wonderful addition for your collection!! Pair of 2 vintage 1970 gold filled herringbone chain stacking bracelets. Old vintage marking 1/20th 12K GF. Size of each bracelet is 7" by 1/16" wide across. Excellent condition. No damage. All gold intact. 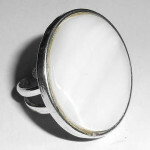 Great for stacking for a lovely vintage layered look. 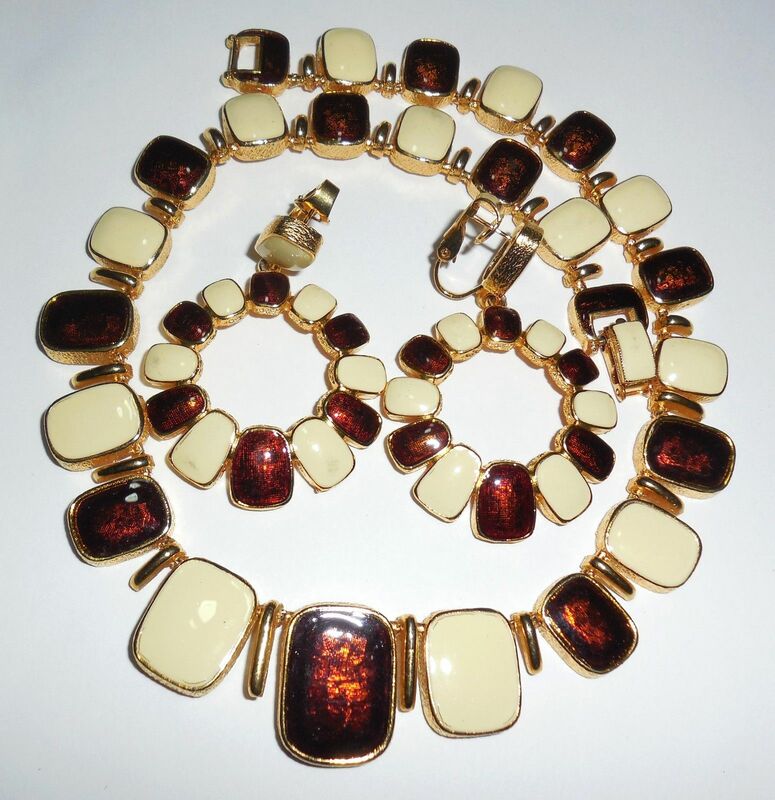 Gorgeous 1940s retro Art Deco signed Cr Co Hettel 1/20th 12K Gold Filled Original Deeply Colored Czech Glass Cushion Cut Stones 2 1/2" by 1 1/2". Excellent, gently used condition. All good stones. No dents or dings. All gold intact. Good secure locking clasp.